The United Fruit Company is well known for bringing millions upon millions of bananas to U.S. families via the port of New Orleans. It is also known for the role that it played in shaping the politics of several Central and South America n nations. 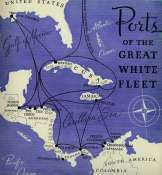 The company, later known as United Brands and still operating today as Chiquita Brands International, Inc., was also an important provider of passenger steamship service between the Crescent City and its neighbors in the Caribbean. 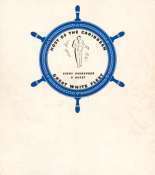 For our February 2000 Images of the Month Galllery we present text and images from a United Fruit advertising pamphlet titled Ships and Ports of the Great White Fleet. 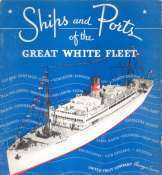 Published sometime in the 1930s, this pamphlet presents photographs both of the fleet's shipboard amenities and of the Caribbean ports that it visited. Our selection comes from the latter group of images, and we have also included the original text used to describe the nations depicted in the photographs. This Gallery provides a glim pse, in pictures and in words, of how the U.S.--or at least the United Fruit Company--viewed our Caribbean neighbors more than sixty years ago. This Gallery is a preview of the Library's upcoming exhibit in conjunction with the March 2000 meeting in New Orleans of the Inter-American Development Bank. That event will bring a host of important visitors from Latin America to the Crescent City, the "Gateway to the Americas." Our exhibit will focus on the long history of trade and cultural exchange between New Orleans and Latin America. Click on the images below to see a larger version of the photograph and a brief description of what it shows.